Planning a home improvement project can be tough if you don’t have a clue on how to go about it. It even becomes more challenging if you are the only one doing all the planning. Nevertheless, proper planning is the best way to avoid hassles and ensure a successful project. Most window problems stem from hiring the wrong people. That’s why you need to take the time to know the contractor that will be handling your project. Contractors who have manufacturer certifications are always a sure bet. They will have all the necessary licenses, insurance, and warranty coverage for your peace of mind. Kroll Construction is proud to partner with top brands, such as Alside® and Owens Corning® to provide you with quality products and installations. Your replacement windows will play a pivotal role in the overall curb appeal of your home. That’s why you need to consider how it will impact the design scheme of your home from both the inside and outside. We will work with you to select the materials, style, and design of your new windows so that they match your home perfectly. We offer vinyl windows as a suitable substitute to wood window replacement in Detroit, MI, since vinyl is more durable and easier to maintain. Window projects can leave your home open to the elements, so it’s always best to plan the project around favorable weather. This way, the contractors will be able to finish the job without feeling rushed. If you’re planning a Detroit, MI, wood window replacement, talk to Kroll Construction to discuss your options. The combination of insulated vinyl frames and advanced glass makes our vinyl windows the better choice for energy efficiency. 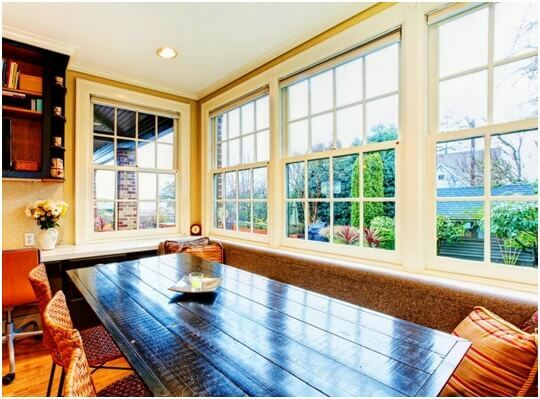 Call us today at (888) 338-6340 for a free in-home consultation and estimate on your window project. We will be happy to work with you from start to finish, delivering stellar results every step of the way.